The Kenya National Chamber of Commerce & Industry and Kountable have brought together stakeholders from the health sector under the Big 4 Dialogue to discuss ways the private sector can tap from the governments Big 4 Agenda on health. 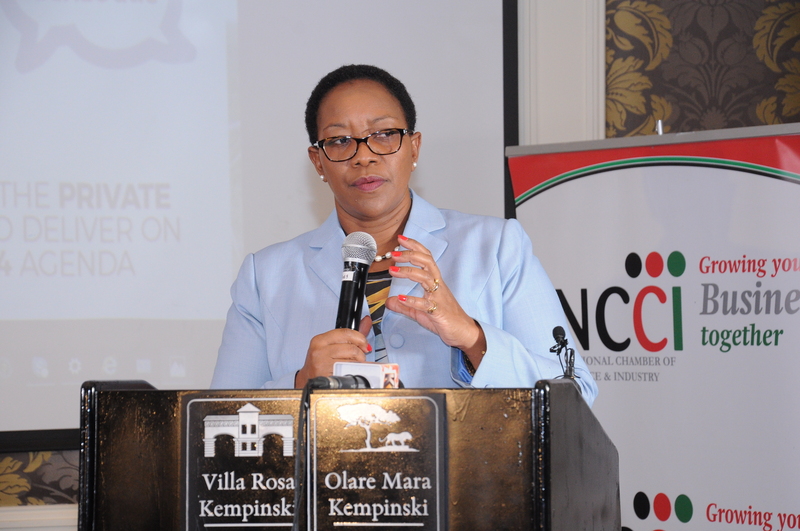 The second Big4 Dialogue focused on the Health sector and saw participation from the cabinet secretary Ministry of Health Sicily Kariuki who revealed the government was working on identifying the necessary stakeholders to realize universal health coverage. Among the priority areas the government is focusing on include: expansion of the health insurance coverage, strengthening the primary healthcare ecosystem by increasing the number of health professionals, digitization of health services, sustainable financing models and expansion of existing partnerships that have already been created. According to Sicily the government will also concentrate more on preventive health rather than curative health as well as the upgrade of the health sector infrastructure which includes refurbishment of facilities in hard to reach areas, leveraging on IT and mobilizing of resources to engage the public using the various channels. The government has also said it will introduce a pilot project targeting four counties with different disease patterns and behaviors including Kisumu, Nyeri, Isiolo and Machakos. “The government will soon start a pilot phase of a home based approach in counties with different disease patterns and behaviors such as Nyeri which has the highest prevalence of diabetes,” said Sicily Kariuki, Ministry of Health. Speaking at the same occasion Kenya National Chamber of Commerce & Industry National Chairman Kiprono Kittony called on the government to abide by the Abuja Declaration and increase budgetary allocations to health so as to improve service delivery. “For the first time we see the political will to invest in the health sector through a well thought public private sector led initiative. It is still hard to believe that Africa contributes just 2% of global doctors despite the continent hosting 25% of diseases. This can only be addressed through a government and private sector led initiative,” said Kiprono Kittony National Chairman Kenya National Chamber of Commerce & Industry. According to the ministry of health the ratio of health practitioners stands at 1:16000. The government will commence capacity building of doctors, clinical officers and nurses including exchange program with countries such as India. Once KNCCI and Kountable conclude the dialogues on the four agenda items the Chamber will then proceed to hold weekly talks through the month of August to address the other agendas including: Manufacturing concluding with Food Security on the 22nd of August, 2018.